Nortons HIAB Services Ltd is one the top rated independent HIAB operator and HIAB hire companies in the UK. 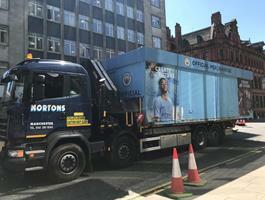 Located in central Manchester, North West England. 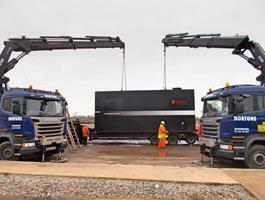 Nortons HIAB Services Ltd has been successfully transporting freight for over 20 years. 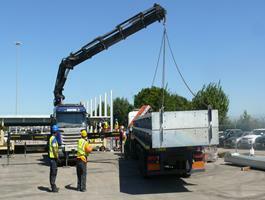 Nortons HIAB Services Ltd operates a fleet of 40 HIAB lorry mounted cranes. 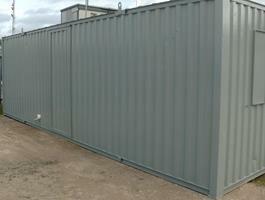 Norton Cabins sell a wide range of used refurbished Portable cabins & containers. 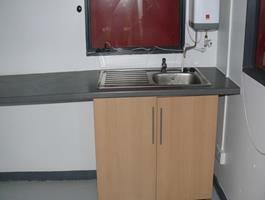 We buy, sell & refurbish cabins. 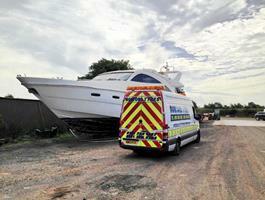 From our base in Manchester we use our own fleet of hiabs to deliver and set up your cabin minimising costs. 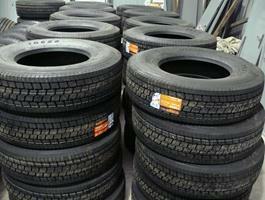 All sizes of tyres supplied & fitted, tracking, balance & alignment whilst you wait at Nortons Tyres. Open 7 days a week. Our fleet of mobile tyre fitters allows us to offer 7 days a week call out to help offer full repairs and replacements of all tyres at roadside or onsite. We work across the Northwest of the United Kingdom from our base in Manchester. 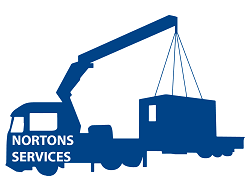 Nortons Hiab Services Ltd is able to transport most forms of equipment, plant machinery and machines.We provide HIAB Mobile Crane Hire services, Haulage and Transportation services to any destination in the UK. 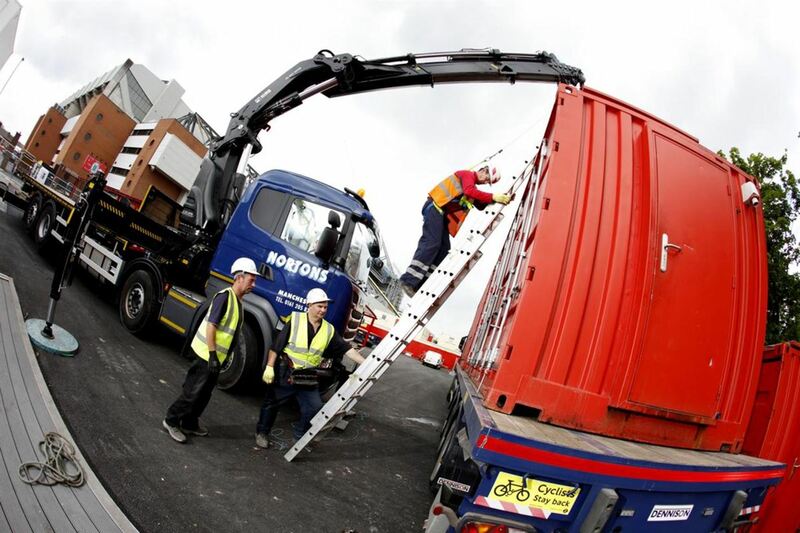 We work across the UK lifting, transporting and delivering Nationwide across England, Scotland & Wales. With over 40 vehicles, our fleet includes Low-loaders, Moffett Mounted Forklift Truck and Articulated HIAB Vehicles. 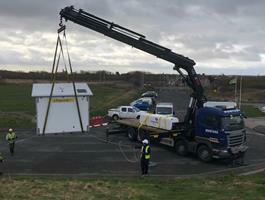 Our fleet of hiabs transport & deliver across the UK, installing your containers into the exact spot your require. 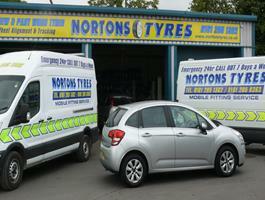 At Norton’s Tyres we supply & fit car, van, commercial, plant, agricultural and wagon tyres on demand. 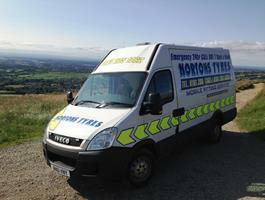 Our team of mobile tyre fitters can come to you seven days a week to handle any roadside or onsite emergencies around the Greater Manchester area. 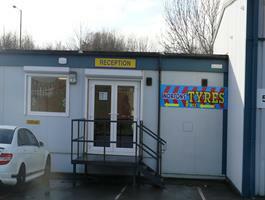 We can also repair & replace tyres at our centre in Miles Platting, Manchester. 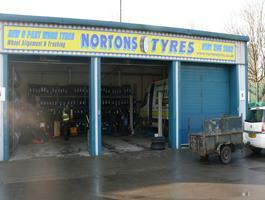 Welcome to NORTONS SERVICES, where you can get access to a variety of reliable services across the United Kingdom. 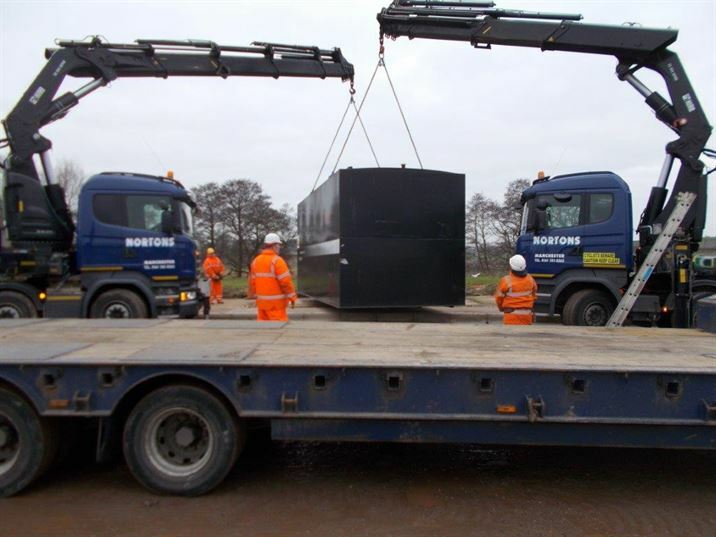 We deal with all manner of challenging services across the United Kingdom, dealing with everything from Hiab Transport to the purchase, sale and delivery of portable cabins. 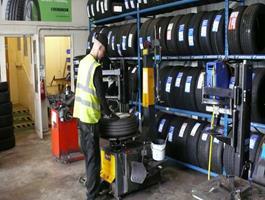 We also provide a comprehensive tyre supply & fitting service that can help to save you time, stress and effort replacing or repairing your tyres. With Hiab hire and transportation across the United Kingdom, we make getting your hands on a very important piece of kit easier than ever before. With Norton’s Hiabs, we make it very easy for you to get affordable container & cabin transport & delivery. 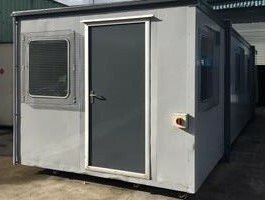 At Nortons secure facility in Manchester Northwest we can take care of all your storage needs whether short term or long term, individual or commercial. If you had an old cabin in need of refurbishment, then we can make the needed renovations as soon as possible. Nortons HIAB Services Ltd is one the top rated independent HIAB operator and HIAB hire companies in the UK. Located in central Manchester, North West England. 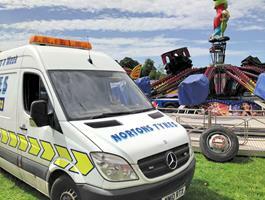 Nortons HIAB Services Ltd have been transporting freight for over 20 years. Now operating a fleet of 40 HIABs. 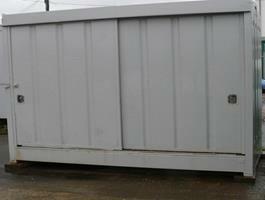 Norton Cabins have a wide range of used Portable Cabins & containers. 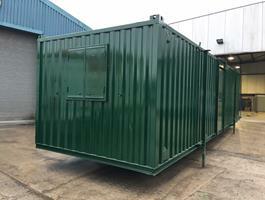 We also buy and refurbish unused cabins. 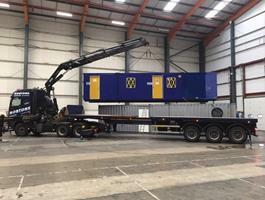 Using our own fleet of hiab transport we can deliver and set up your cabin. 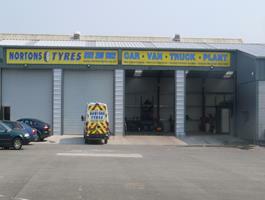 Our mobile tyre fitters allows us to offer 7 days a week service to offer full repairs and replacements of all tyres at roadside or on-site. Wherever you have suffered a tyre malfunction, you can trust us to be there in good time to help deliver a service that you can trust. We work across the Northwest of the United Kingdom from our base in Manchester. 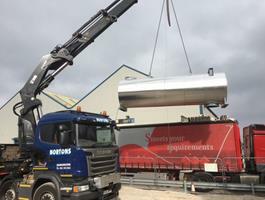 We went to Nortons as our previous haulage firm let us down, they were fast and very professional service, the driver was very knowledgeable and went out of his way to help site the cabin, Nortons will now be our first call. Thank you for your services yesterday, your driver was superb. We have got all these sites across the country so I will be in touch shortly. Absolutely brilliant service throuought the whole day and turmoils that we were presented with on these delicate lifts through adversity Norton's workmen were impeccibly helpful and made the entire job turn out 100% satisfactory. Got any questions for the team? Then contact us today. We’ll be more than happy to help you find the service that you need! 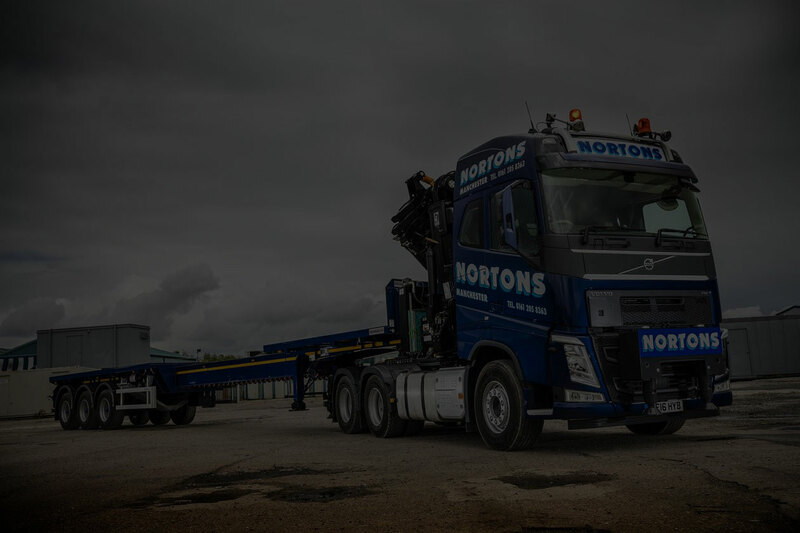 Nortons Hiab Services Ltd has been a Hiab hire business across the United Kingdom for over two decades. Built on a reputation of rapid delivery and professional management, we make moving, transporting and placing goods easier than ever. Working around the clock from our Manchester HQ, we make sure you can get access to high-quality equipment at affordable prices. Regardless of the size or scale of the task, we make sure you can get a service that fits your needs. We’ll make sure you are left with a refurbished cabin that looks just as you intended.Once delivered, though, we don’t just leave you to it. Our cabin team can help you to get it set up and operational as quickly as possible. From stacking and linking to the adding of staircases, ramps and skirting we’ll do everything that’s needed to put together a more professional cabin experience for you. 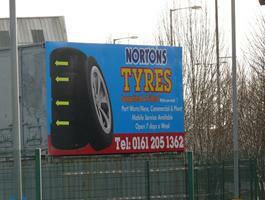 Nortons Tyres: How can we assist? Nortons Tyres provides a fleet of 10 mobile Tyre Fitters Vans to repair or replace your tyres 24/7 throughout Manchester North West UK. 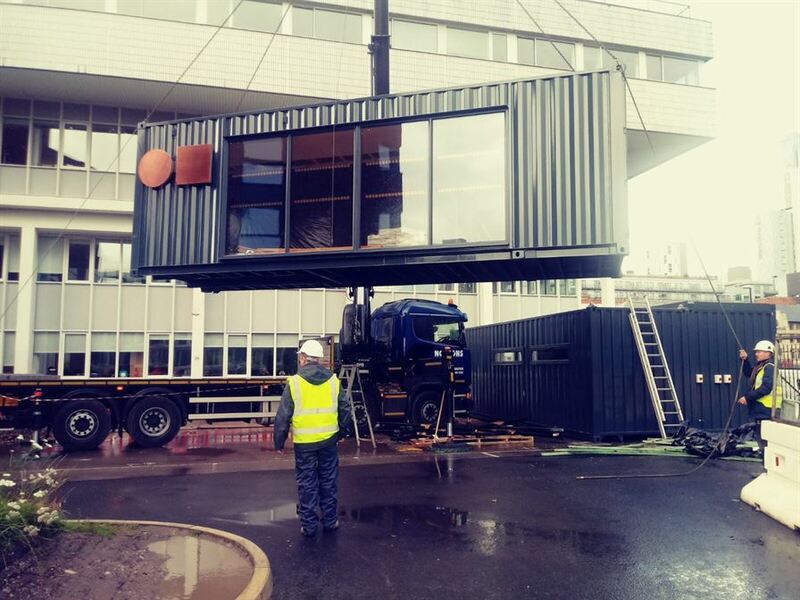 We buy, sell & refurbish cabins and containers. 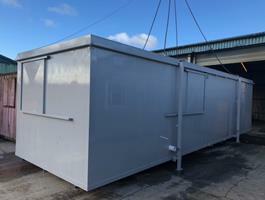 Delivery & Installation of new & used Portable Cabins. 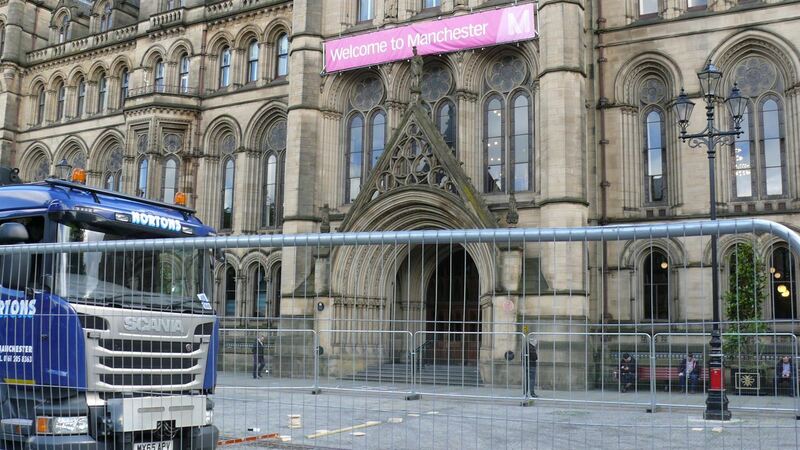 We have our own Hiab transport based in Manchester that can deliver across the UK. © 2018 Nortons Hiab Services Ltd All rights reserved.